The brilliant artwork of post-Impressionist Dutch Master Vincent van Gogh powerfully impacted countless artistic movements. 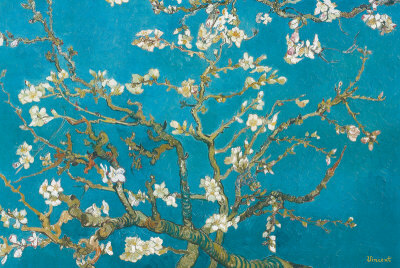 Producing all of his works within a decade, van Gogh's output in just one year totaled 150 paintings and drawings. van Gogh painted outdoors with a special talent for capturing the subtleties of nighttime light and shadow. He suffered from lifelong bouts with mental illness yet created many of his masterpieces while institutionalized. Selling only one painting during his lifetime, van Gogh has endured as one of the last century's most influential artists. 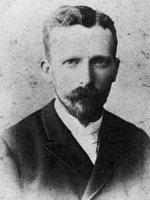 Vincent Willem van Gogh (30 March 1853 - 29 July 1890) was a Dutch Post-Impressionist artist. His paintings and drawings include some of the world's best known, most popular and most expensive pieces. Recommended books on Vincent van Gogh: Complete Letters of Vincent van Gogh by van Gogh (3 Volumes, Hardcover - February 1, 2000); Vincent van Gogh: The Drawings (Metropolitan Museum of Art Series) (Hardcover) by Colta Ives, Susan Alyson Stein, Sjraar van Heugten, Marije Vellekoop; The Letters of Vincent van Gogh (Penguin Classics) (Paperback) by Vincent van Gogh, Ronald de Leeuw (Editor), Arnold J. Pomerans (Translator); van Gogh and Gauguin: The Studio of the South by Douglas Druick; van Gogh's van Goghs by Richard Kendall; van Gogh in Provence and Auvers by Bogomila Welsh-Ovcharov; van Gogh, Face to Face: The Portraits by Joseph J. Rishel. These Vincent van Gogh posters and prints, among others, are available here: Starry Night,1889, Cafe Terrace at Night, Starry Night Over Rhone, 1888, Cafe at Night, Poppies, Sunflowers, Yellow Wheat and Cypresses, Irises, San, Saint Remy, 1889, Almond Blossom 1890, Mulberry Tree, 1889, Night Cafe with Pool Table, Wheatfield with Crows, 1890, Wheatfields - Thunder Clouds Auvers, Fishing Boats, Flowering Garden, Terrace on Place du Forum, Arles, 1888, Olive Trees. And, if you are looking for fine art, you may want to surf over to our fine art poster pages.